As a family run, small business we understand the importance of supporting the local community. This support is crucial in building strong social and economic relationships to preserve the unique character of our community, our home. Golden Ravioli has always and will continue to contribute to local groups and organisations. The Melville Amateur Football Club was first started in 1906 and is one of the oldest AFL football clubs in Western Australia. The club competes in the West Australian Amateur Football League in the C Grade division and has 3 senior sides and an under 21’s team. Eighty eight players represent the club on a weekly basis throughout the Winter season with many supporters and a vibrant life member and past player contingent. The club has done its best to become as professional as it can and has formed partnerships with local business and local groups to make a real community organisation. Golden Ravioli came on board as a sponsorship partner in 2016. It would not be possible for the Melville Football Club to survive without the help of local business and people like the Lenzarini family who give back to the community. It is highly appreciated and we hope to continue our partnership for years to come. We hold player dinners every Thursday with Golden Ravioli’s products a regular feature. All of Golden Ravioli’s products are of a very high standard, easy to prepare and very reasonably priced. From my committee and all the players we would like to warmly thank Golden Ravioli for their continued support and we very much look forward to enjoying their sponsorship and their products for many years to come! 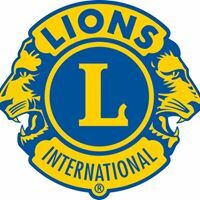 The Lions Cancer Institute is a project of the Lions Clubs of Western Australia and was formed in 1989. Incorporated in 1990, The Lions Cancer Institute became affiliated with the University of Western Australia in 1994 and, in 1996 – in association with The Cancer Research Institute – formed the Centre for Applied Cancer Studies at the University of Western Australia. Golden Ravioli was extremely pleased to make a donation to the Lions Cancer Institute and help fund their very worthy cause in 2016: their Special Children’s Big Day Out, supporting children with cancer at Christmas time. The Sacred Heart Parish of Highgate is a place of prayer, hospitality and support; a home of worship for hundreds of Catholics in the local community of Highgate over the past century. Throughout this time, the Sacred Heart Parish has seen people of all ethnicities, ages and backgrounds being drawn together by their common faith in our loving God. We have a relationship with The Sacred Heart Parish of Highgate that dates back to when the Lenzarini boys attended primary school, practiced as altar boys and where the Lenzarini family have celebrated many an occasion. Golden Ravioli was a proud sponsor of the 2017/2018 Sacred Heart Catholic Society mid year calendar book.